Here's wishing all of you and the swwet babies a happy thanksgiving! Mischievous as a monkey, with a heart of gold. 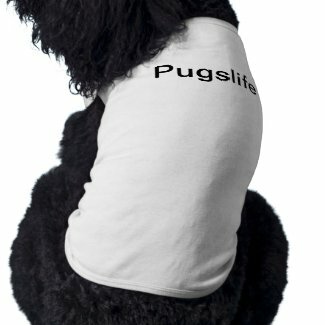 I stumbled upon this site quite by accident when searching the glorious internet for some warm lounging pj's for our Little Jake. He sits in our laps and shivers and I feel quite sorry for him. I tried my hand at making him a fleece onesie last year without much success. It kept him warm, but alas, I had to cut him out of it. Any brilliant suggestions that don't cost a small fortune? Thanks for letting us join in the puggie fun!